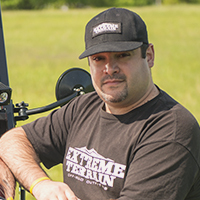 ExtremeTerrain no longer carries the Baja Designs XL-R Sport LED Lights - Driving/Combo Beam - Pair. Please check out Jeep Auxiliary & Off-Road Lighting for an updated selection. Near and Far Illumination. The Baja Designs XL-R Sport LED Lights - Driving/Combo Beam - Pair offer superior coverage with a blend of wide and spot optics. These lights use 4 energy efficient, Cree XP-G2 LEDs each to provide 2,260 lumens of brightness with a power draw of 20 watts /1.4 amps. Tough and Durable. Each light has undergone rigorous testing for durability, impact resistance, and waterproofing, and passed with flying colors to become MIL-STD810G and IP69K certified and IK10 compliant. The LEDs and reflector assembly are encased in a hard anodized and powder-coated cast aluminum housing, protected by a practically unbreakable polycarbonate lens. Ready to Install. Sold as a pair, each light comes with a stainless steel bracket and all of the necessary hardware needed to mount it. Additional Hardware. To enable the light's high/low feature, a Skene dimmer must be purchased and installed separately. Application. The Baja Designs XL-R Sport LED Lights - Driving/Combo Beam - Pair are compatible with 1987-2019 Jeep Wrangler YJ, TJ, JK and JL models.